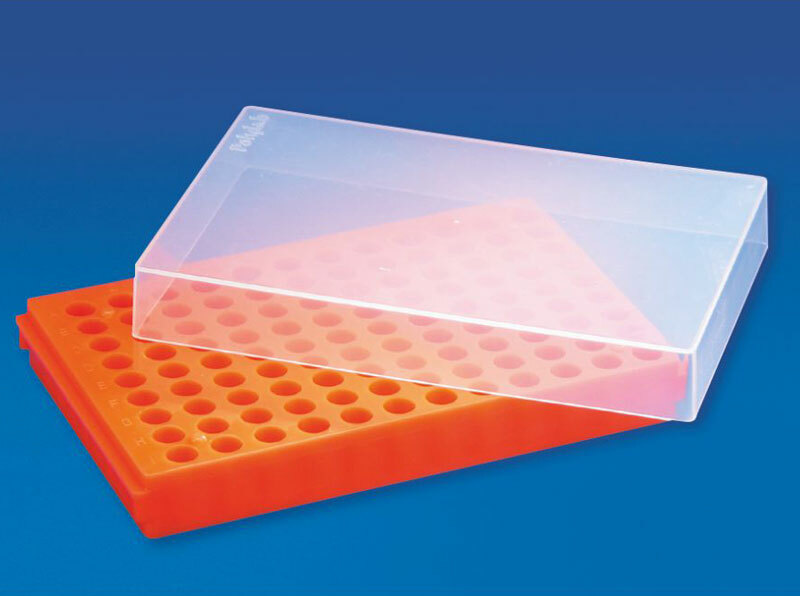 We provide Twin Purpose MCT Twin Racks for both 0.5 & ml. & 1.5 ml. micro centrifuge tubes. Each side has 108 holes for 0.5 & 1.5 ml. MCT's respectively. The transparent top of MCT Twin Rack provides and excellent view and a protection cover for the tubes stored. Each face of the base has a unique alpha-numeric index for easy identification of the tube.